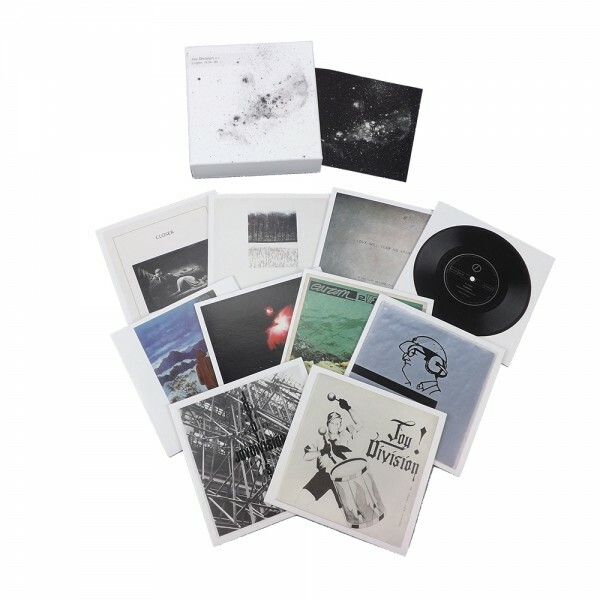 A unique Joy Division retrospective box set, containing 10 CD singles in a clamshell box. All tracks re-mastered from original tapes by Stephen Morris and Frank Arkwright (Metropolis Studios). Compiled by renowned journalist and author Jon Savage, the box set includes the singles ‘Transmission’, ‘She’s Lost Control’ and 'Love Will Tear Us Apart’. A unique Joy Division retrospective box set, containing 10 CD singles in a clamshell box. All tracks re-mastered from original tapes by Stephen Morris and Frank Arkwright (Metropolis Studios). Compiled by renowned journalist and author Jon Savage, the box set includes the singles ‘Transmission’, ‘She’s Lost Control’ and 'Love Will Tear Us Apart’. Limited stock.